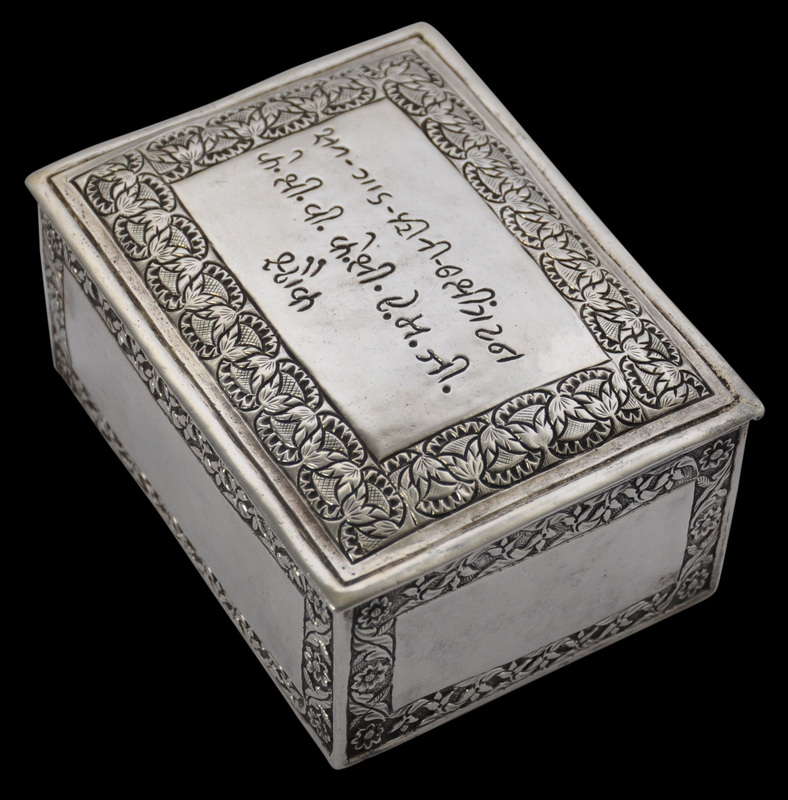 This fine, lidded box is of high-grade and most probably pure silver (in which case it is more pure than sterling silver). 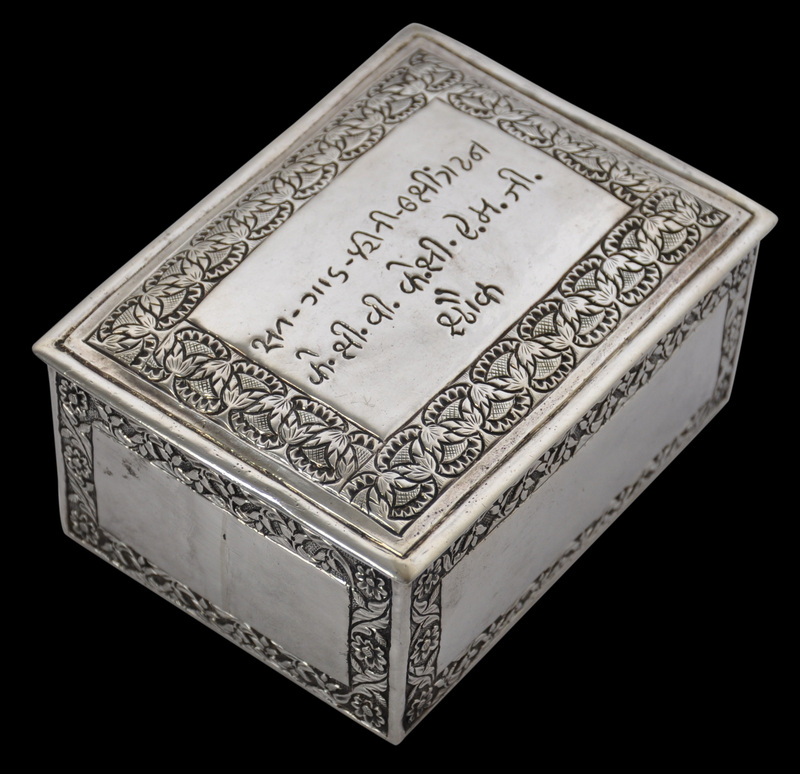 The dimensions are those of a Mughal or northern Indian perfume box. The lid is slightly domed and has a wonderful border of Scottish thistle motifs. The central rectangle i s plain other than for an inscription in Gujarati. One translation for the script is: ‘Sun Gaad Parini Shrington K.C.V Keshi M G Stock’ which appears to be a personal name along with some honorifics. All the other sides have plain rectangular fields surrounded by Mughal-inspired floral and foliate borders. 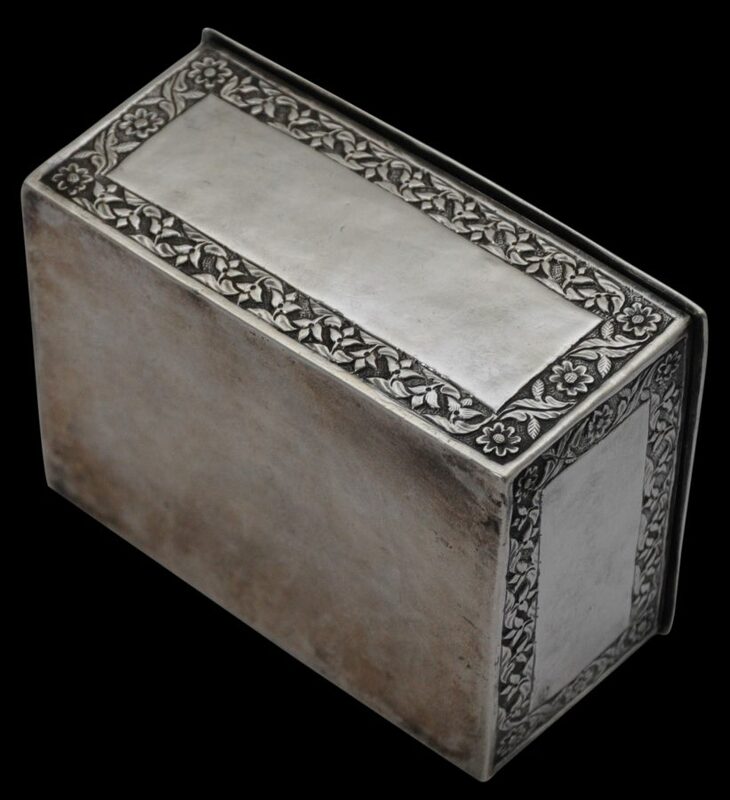 The thistle motif on the lid probably has a direct relationship with the Scottish thistle. 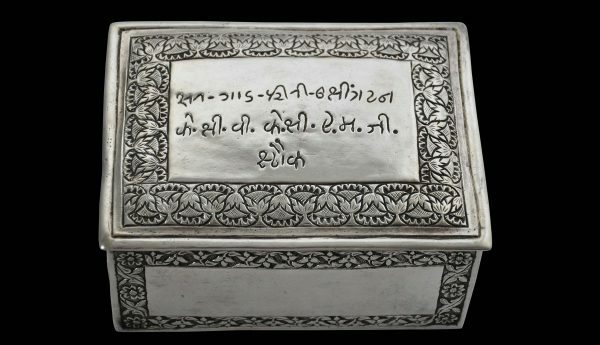 Other 19th century items produced in India had this motif, including silver items made in Lucknow – and many Scots served in the colonial administration in India. There are no makers or assay marks. 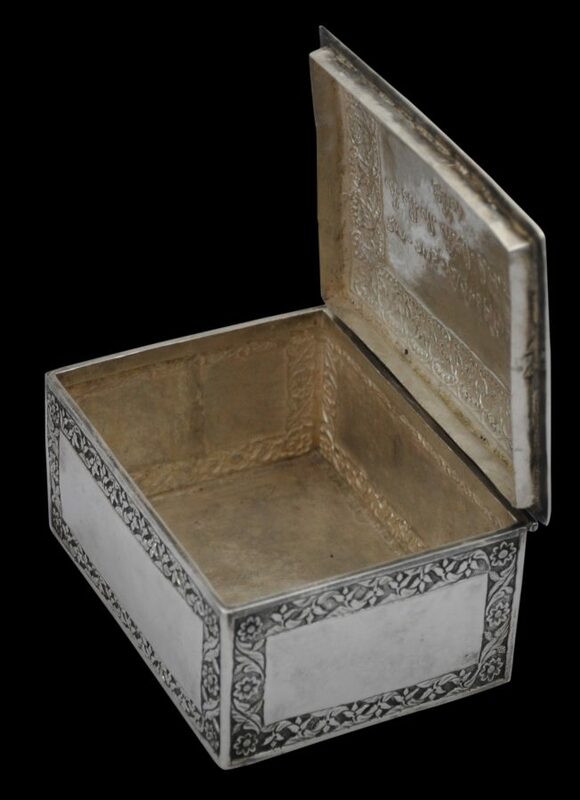 The box is in excellent condition with a fine, waxy patina associated with pure silver. Markel, S. et al, India’s Fabled City: The Art of Courtly Lucknow, LACMA/DelMonico Books, 2010.